I was a bit delayed in joining the small crowd that gathered and was startled by the tone of conversation when I arrived. Sitting at a weathered picnic table were the revered Anakala (uncle) Pilipo Solatorio and his son Greg. Both were dressed in traditional kihei, deep red in colour and draped over one shoulder, with matching thick black beads circling their necks. 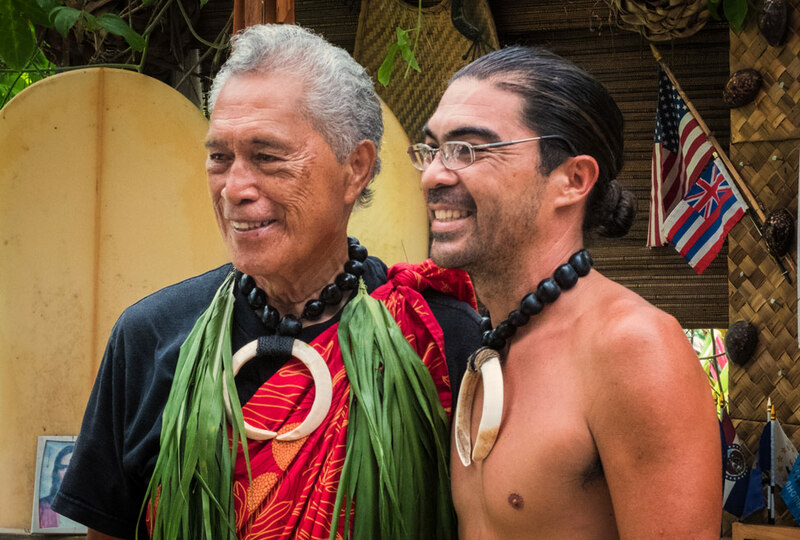 Father and son are both cultural icons on the small island of Moloka’i – 76 year old Anakala being the last living descendent born in the lush valley around us, and Greg being the only son living on the island with him and set to take over. 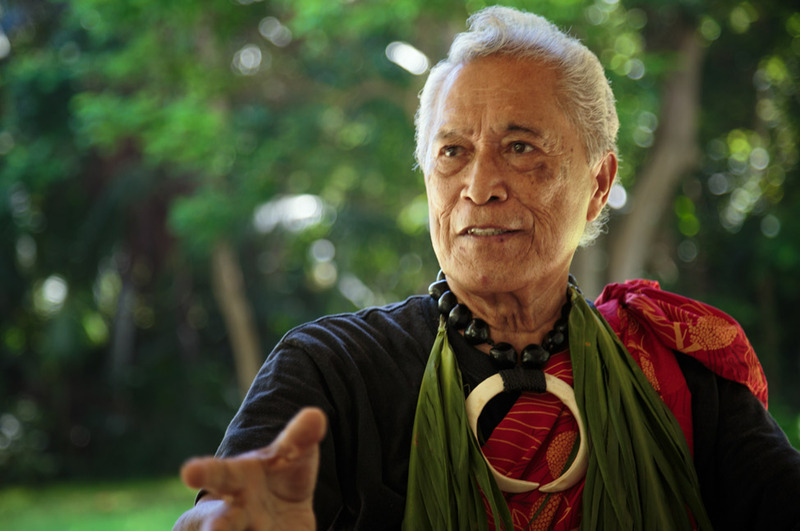 The importance of their roles in Hawaiian history cannot be understated. 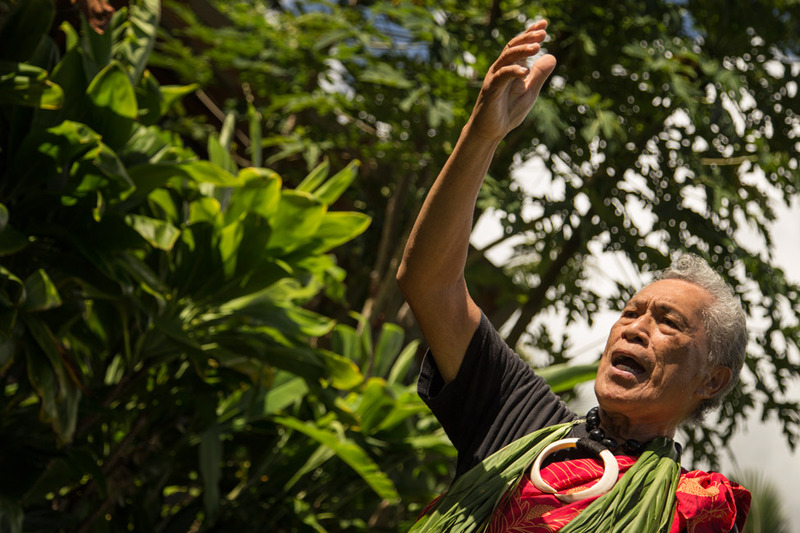 They are two of less than twenty people that currently inhabit the Halawa Valley, that which was the very first spot in which Polynesians landed over 1,500 years ago. 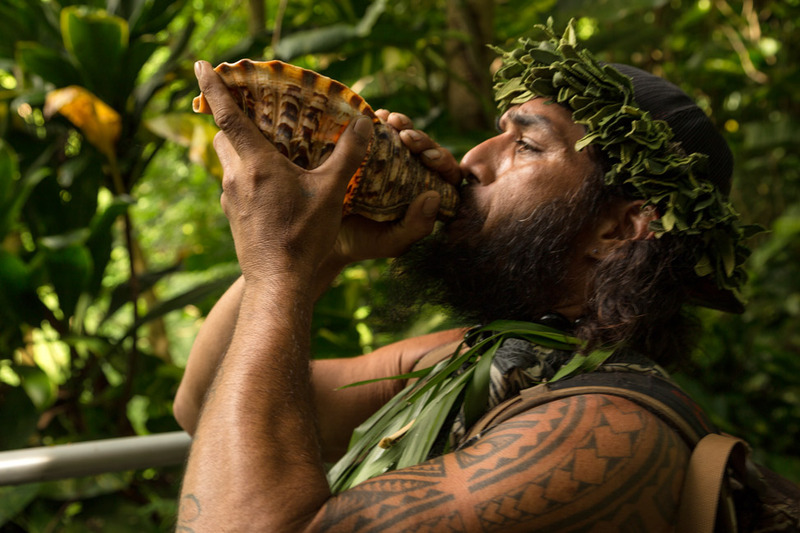 And although they each may have resisted taking on this role of cultural practitioner – Anakala himself, being only five years of age when he began his training, was understandably reluctant – it is clear that they take their roles seriously now. 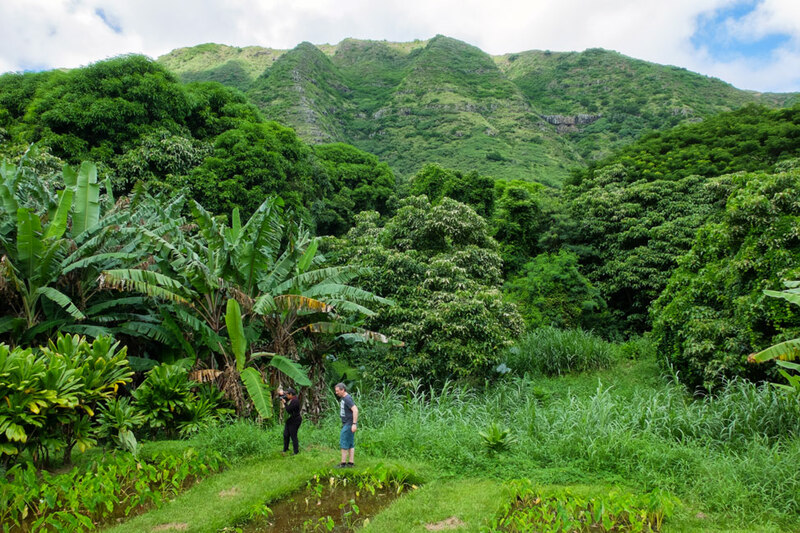 And none can blame them for being weary of the increasing number of tourists who arrive with the interest of only trekking to the famed Halawa Waterfall, over this land of which they are caretakers of. 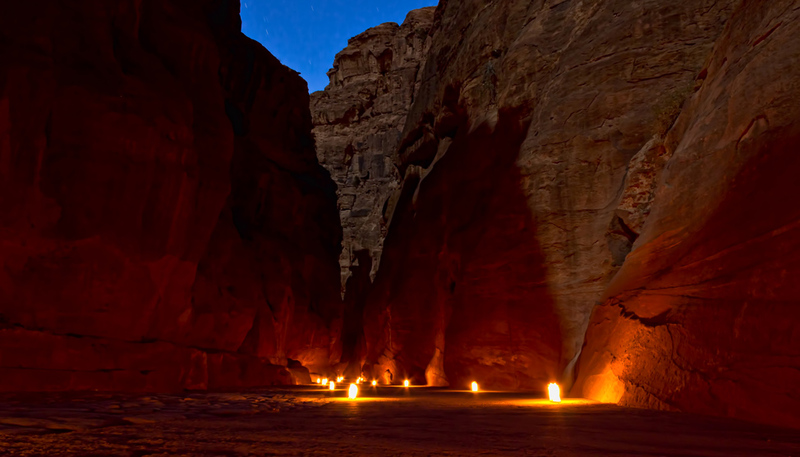 Their brusqueness, while off-putting at first, was to assert that the cultural significance of this valley is as important. I later realized my mistake of interpreting the force of Anakala and Greg’s presentation as somewhat harsh, when in fact, as I would learn throughout the day, it came from a place of pure passion. I later realized my mistake of interpreting the force of Anakala and Greg’s presentation as somewhat harsh, when in fact it came from a place of pure passion. The hike to the waterfall, one of the reasons for our visit to the valley, was closed due to a recent string of rainy days that rendered the path unsafe. Those tourists that had come solely for the hike soon left, but our day was just beginning. From the picnic table we were to head a little deeper into the valley and spend the afternoon with Anakala and Greg. But not without following proper protocol, which became our first introduction to distant Hawaiian times. Dressed in matching kihei of sage green given to us as gifts, we had prepared our own offerings for the Solatorio family that morning, traditionally wrapping and tying them with long leaves. With gifts in hand, we were led by Anakala’s son-in-law Sean-Alan down a short but very muddy walk, stopping several times to call out on a conch shell and then waiting for acknowledgment in order to continue. We were stopped at an entrance and the welcome ceremony began with an exchange of verses sung in words I did not understand. The first, from our party, asked for permission to enter, the response from Anakala included all the names of his ancestors that would allow us in. We took turns placing our gifts and leaned in to touch foreheads and share ha with Anakala. I blushed at the intimacy of what we had just participated in, and with such an esteemed host. We removed our shoes and walked across a straw mat floor inside a small seating room adorned with a surprising array of relics – everything from photos and newspaper clippings to Christmas ornaments, numerous flags, and carved geckos. I blushed at the intimacy of what we had just participated in, and with such an esteemed host. Anakala sat in a hard plastic chair off to the side, the humidity glistened on his face. His hands waved through the air as he emphatically relayed stories from across generations. Sometimes the topics ran indiscriminately from one to another, but all flowed with wisdom gathered in his 76 years, throughout his world travels with the navy and in lessons gathered from his ancestors. Our talks flew as quickly through his decades as they did through the minutes of our afternoon. 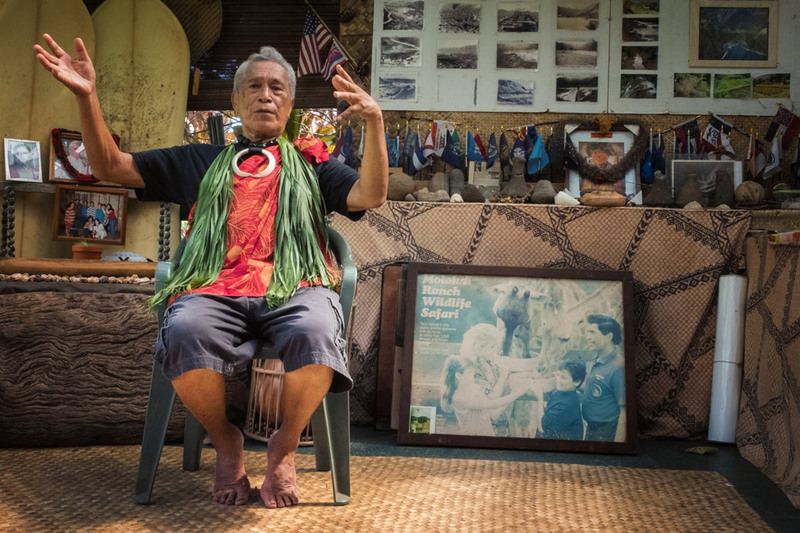 Finally he arrived at the tsunami of April 1, 1946 that killed 159 people in all of Hawai’i, passing along before and after photos, telling his story as he has many times before. Halawa Valley had been ravaged by the giant waves which destroyed buildings and changed the land forever. Anakala is the last living survivor from this area, having fled with his family up the steep hills that guard the valley. He was only six and a half years old at the time. “What do you remember most from that day?” I asked tentatively. This man, who’s gruff exterior was deterring at our first meeting, completely softened. Tears spilled out of his eyes and his voice cracked as he recounted that day waves hit the Hawaiian shores at heights of up to 60 feet. That man, who’s gruff exterior I found to be deterring at our first meeting, softened. Tears spilled out of his eyes and his voice cracked. The lush landscape of the valley, 70 years after the tsunami. 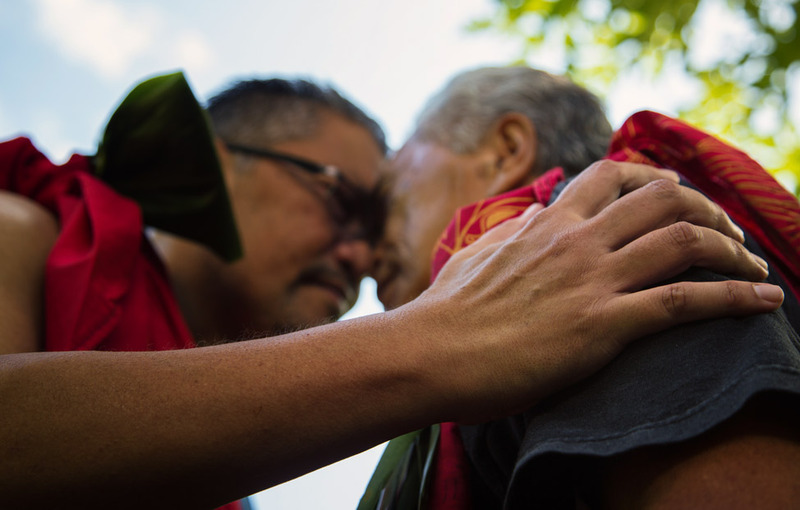 “Culture is sacred, not secret,” both Anakala and his son Greg relayed at different times during the day. While some believe that practices should die with the family, the Solatorio’s are eager to share with outsiders to keep them alive. 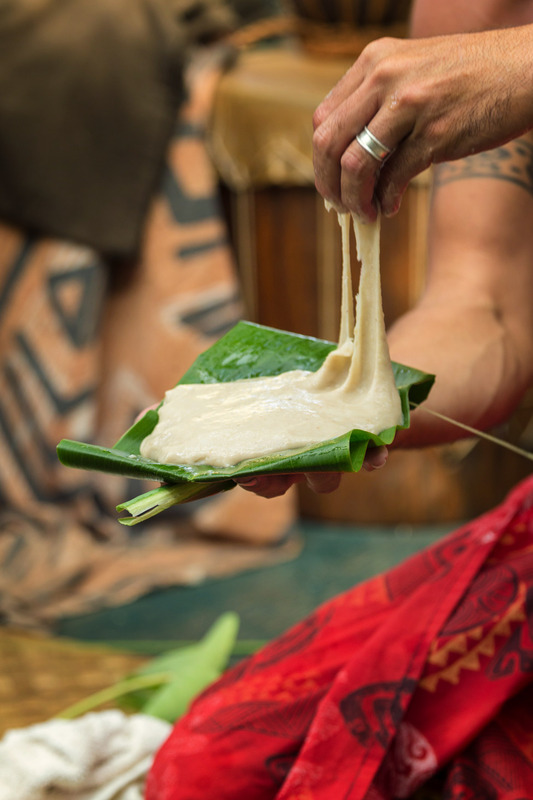 And there are few practices as deeply Hawaiian as the creation of poi, a Polynesian staple food made of taro root. 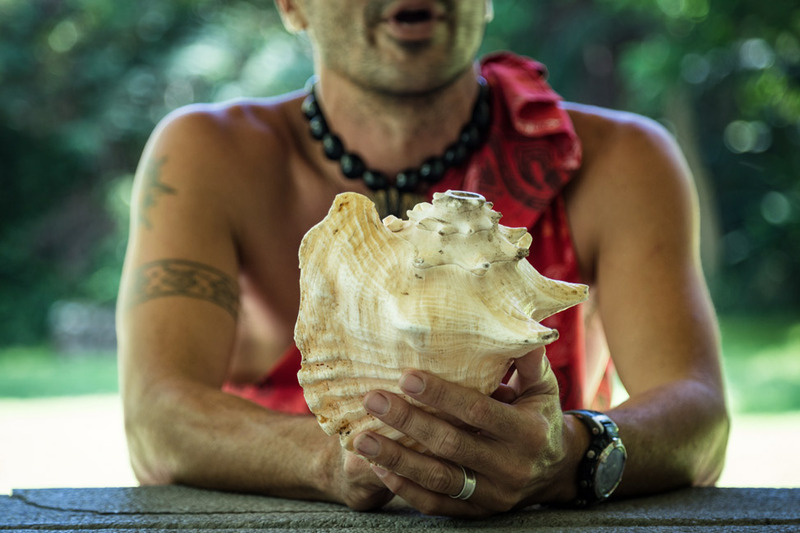 It is a spiritual and sacred part of their culture, providing connections between land and ohana (family) via the dinner table. The made-for-tourist variety which we had seen on previous visits was gently mocked as Greg began his demonstration, carefully using tools that had outlasted the six generations before him. 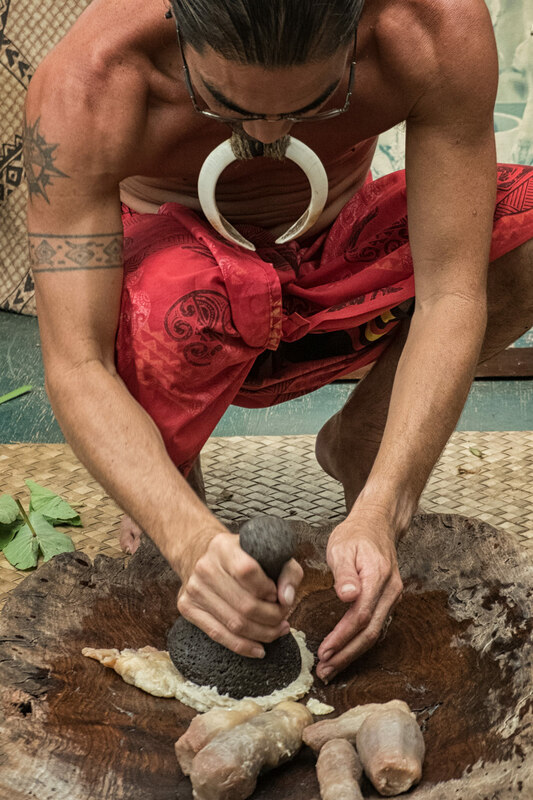 The wooden poi board was still perfectly balanced and the two stones used for pounding the root had different surface consistencies to result in a finer poi. Greg slathered his stones and board with water and began mashing, repeating the process energetically but using as little water as possible. The result was a paste-like mound that we scooped it up with our fingers to eat. The flavour was subtly sweet and most of us went in for seconds. While some believe that practices should die with the family, the Solatorio’s are eager to share with outsiders to keep it alive. Our day had been a long one spent in the humid valley, sweating beneath our kihei and in the tiny covered room where barely a breeze blew. But it was not one I wished away in any quick manner, understanding the privilege I had to listen to the stories from this important family and to taste a tradition made by their own hands. And as that afternoon wore on (well past our scheduled departure time, I might add) and deeper connections were made, gruff became accepted as passion, with ample tears, smiles and laughter shared between us all. The island of Moloka’i is not a big one, and from the main town of Kaunakakai it took us just over an hour to drive into the valley. While the drive itself is worthy just for the scenic photo stops, we cannot recommend enough the cultural experience of meeting the Solatorio family. We hope to return someday to also complete the guided waterfall hike. While on the island, we stayed at the lovely Hotel Moloka’i. Rustic and mere steps from the beach, we felt very much a part of the local ohana upon arrival and loved getting to know the staff. The highlight, however, was the food. The kitchen was recently reopened under new management and offered an incredibly tasty array of dishes with as many locally sourced ingredients as possible. Our trip to Moloka’i was courtesy of the Moloka’i Visitors Association. All opinions, as always, are our own. We were worried we had "seen it all before". We hadn't. 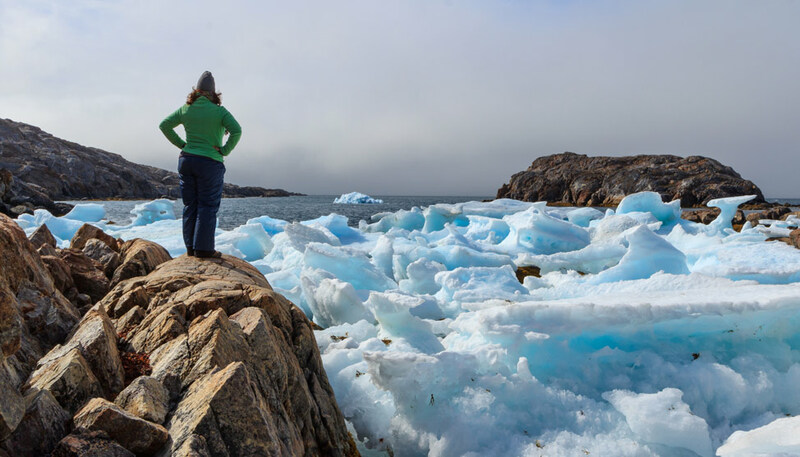 Mother Nature's will and the challenge of Greenland. 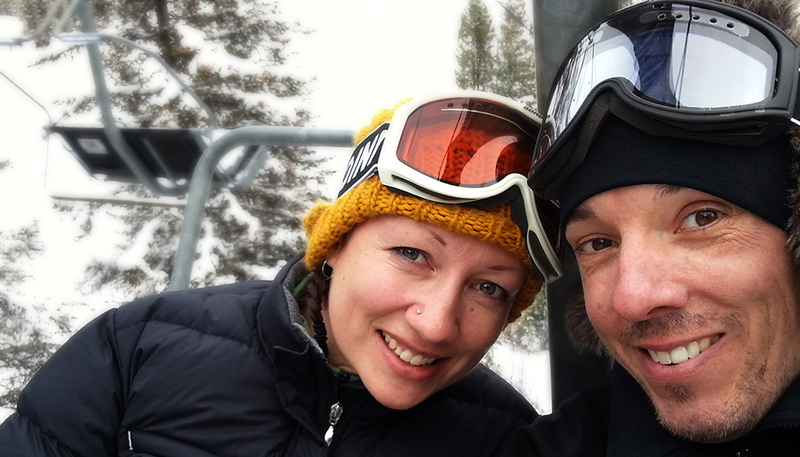 Winter is so much more fun when you play in it. Beautifully written, as always. I’d love to experience this one day! Thanks for sharing. Lauren Meshkin @BonVoyageLauren recently posted..My 2015 Holiday Gift Guide for Travelers + GIVEAWAYS! You captured the day perfectly. Anakala’s passion never ceases. Thank you for sharing his story. It was a very memorable day! So happy we had so much time with Anakala and Greg. Fascinating! I love how you brought the details of the day to life. It’s great that this family shares their culture with others as a way of keeping it alive. Couldn’t agree more – it’s sad that some don’t and do keep these things secret. It’s so important to learn and share. 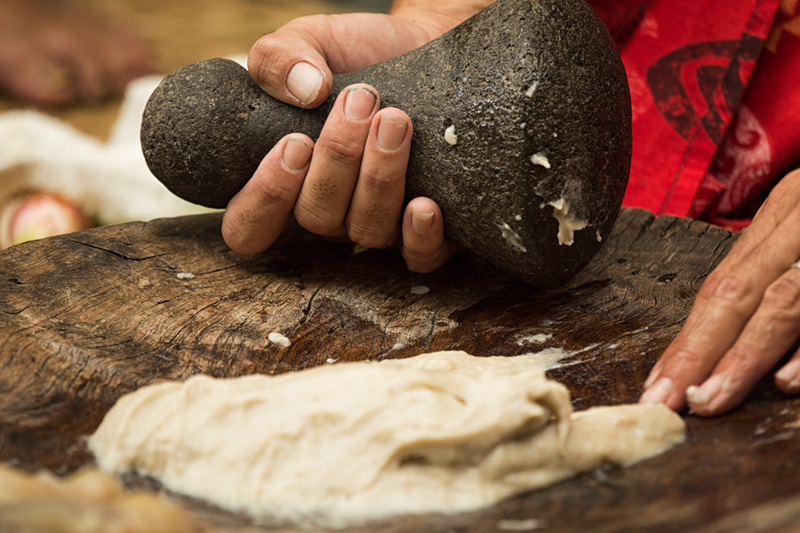 How can you resist falling in love with Hawaiian people, culture and tradition after experiencing something like this? Anakala’s words “Culture is sacred, not secret.” are so true, we’ve been to several ceremonies where no cameras were allowed and wonder, who will pass on these amazing traditions when there are no elders left and the kids aren’t interested in carrying on? I couldn’t resist, that’s for sure! What a unique experience, and superb photos to match!